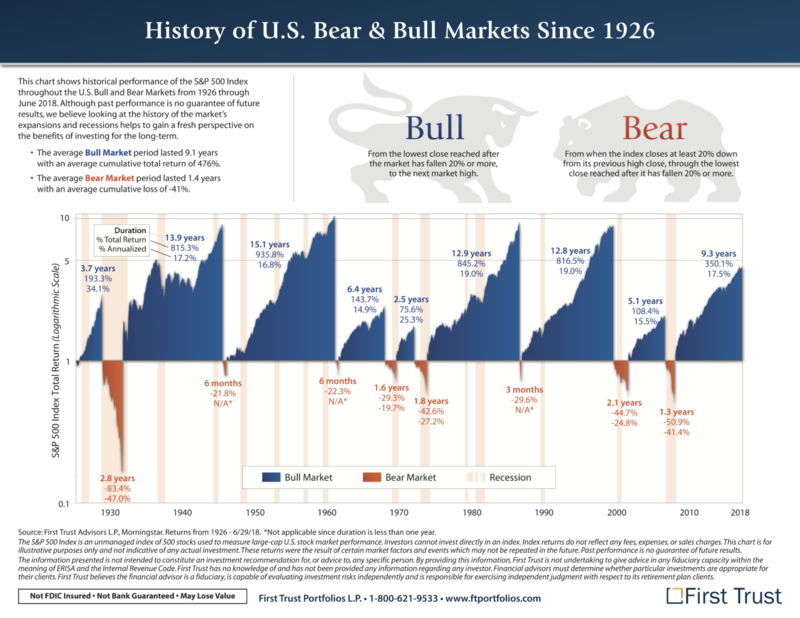 I really like this graphic, via First Trust, showing the history of bull and bear markets in the US. The ongoing debate about the length of bull and bear markets — is this the longest bull market ever? — never seems to be resolved — I have a different question to ask . . .
March 20, 2015 Cyclical Bear or Secular Bull Market ?